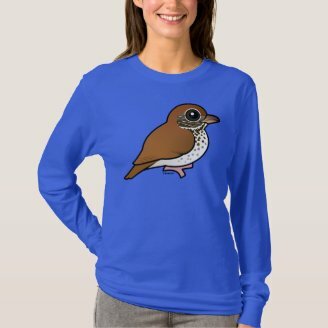 Today we have added a new species to Birdorable: the Wood Thrush. 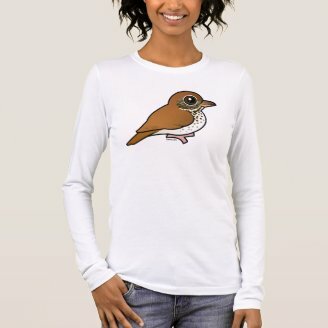 The Wood Thrush is a medium-sized songbird in the thrush family. Related birds include the familiar American Robin as well as the Blackbird of Europe. Wood Thrushes breed across parts of eastern North America and winter across parts of Central America. 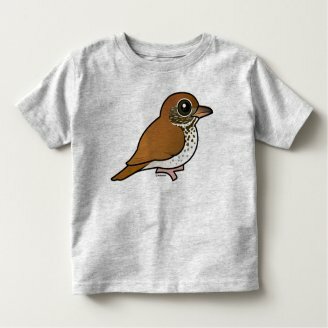 The song of the Wood Thrush is very beautiful. 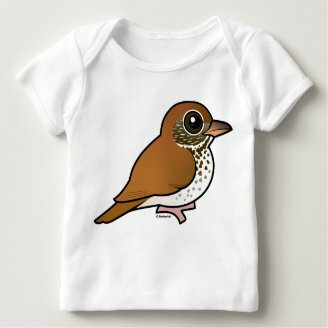 Wood Thrushes have a double voice box, which allows them to sing a melodious harmony with themselves. This specialized voice box is called a syrinx. 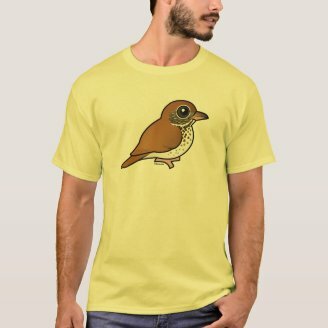 Some say that the song of the Wood Thrush is the most beautiful of all bird songs. What do you think? 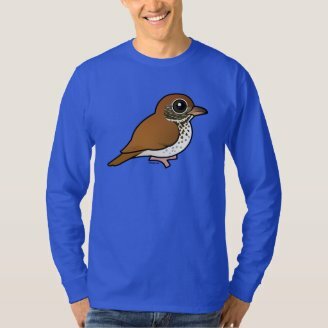 If you can't get enough of this amazing songster, be sure to check out our selection of apparel and gifts featuring our cute cartoon Wood Thrush! 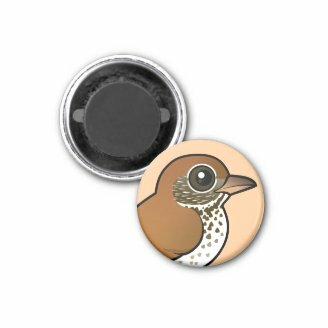 7 comments on "The Wood Thrush's double voice box"
Cool! 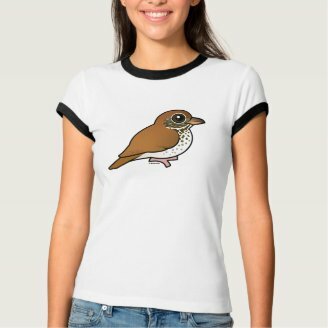 I love wood thrushes!! OH MY GOODNESS!!!! I AM SO EXCITED BECAUSE I JUST ATTRACTED MY FIRST OVENBIRD!!!!!!! 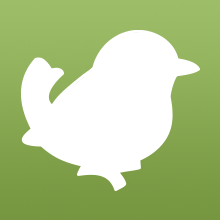 BIRDORABLE, PLEASE ADD VERDIN TO YOUR LIST!!! PLEASE! Well done, Kestrel! : D How did you do it? Trickly water noises? sorry... I actually changed my name from american kestrel to jays and kestrels, sorry for the confusion! Excellent! I didn't know they liked corn!